In addition to presenting you with monthly reports and analytics, we are constantly seeking ways to further assist you in growing your business. One powerful way is to request Google Reviews. 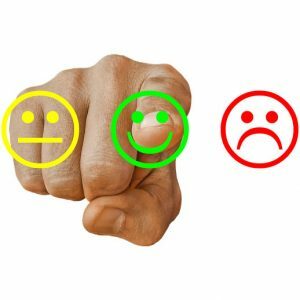 With more than 90% of consumers researching online before ever contacting a business, positive public business reviews are extremely important for every business. 84% of people trust online reviews as much as a recommendation from a friend or family member. Google reviews are yet another element that boosts your local search ranking. There are several points to keep in mind when requesting a Google review from a client or customer. Ask those who have voiced satisfaction with your services. Maybe they have said something positive to you in person or to one of your colleagues. Perhaps it was through an email. These are the people most apt to compose a glowing review. Explain how their assistance with a review can help you with your Google ranking and business reputation. Assure them it is brief and simple. We can supply you with a complimentary Google review URL link to make the process easy as possible. Express your gratitude if they’d take a couple of minutes out of their busy schedule to supply a few lines about their experience with you. Most of all, thank them for their business. They need to know how truly appreciated and valued they are as a customer. Their feedback is vital so that you can continue to enhance the customer experience. They are now one of your most vocal, positive ambassadors. A review from them has the potential to affect hundreds of future customers. Experiencing a time crunch? Let us know and our expert PR team can write some sample emails you can use to solicit Google reviews from your most valued clients/customers.